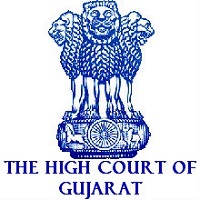 Gujarat High Court Recruitment 2019 – GHC Job notifications for 124 vacancies of Civil Judges for Freshers Law graduates. The detailed eligibility and application process are given in below. Candidates, who have passed the Degree in Law from the academic year 2009-2010 and onwards, must have also passed the All India Bar Examination, in order to be considered as eligible for being termed as a Practicing Advocate. Must be working in the Courts or other Allied Departments. Must possess Certificate(s), certifying to be possessing Basic Knowledge of Computer Application / Operation, issued by a Government Institute or other recognized Institute. Others relaxations as per Govt rules. Mode of Payment: Online Payment or SBI-Branch: Cash-Challan (Offline) (Challan will be generated Online at SBI e-Pay Website). How to apply for Gujarat High Court Recruitment? All interested and eligible candidates apply for this position in online from 1 February 2019 to 1 March 2019.